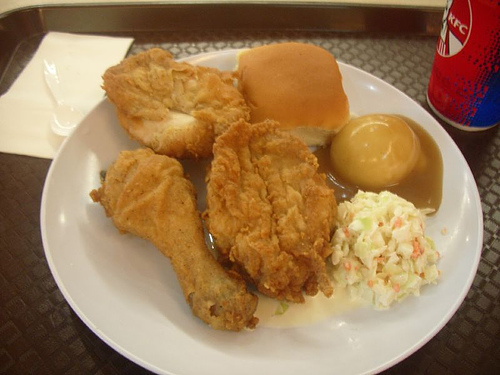 To paraphrase the famous Oldsmobile ad, This Is Not Your Father's Fast Food. The days of drive throughs serving cholesterol burgers, greasy fries and chemical milkshakes are long gone. 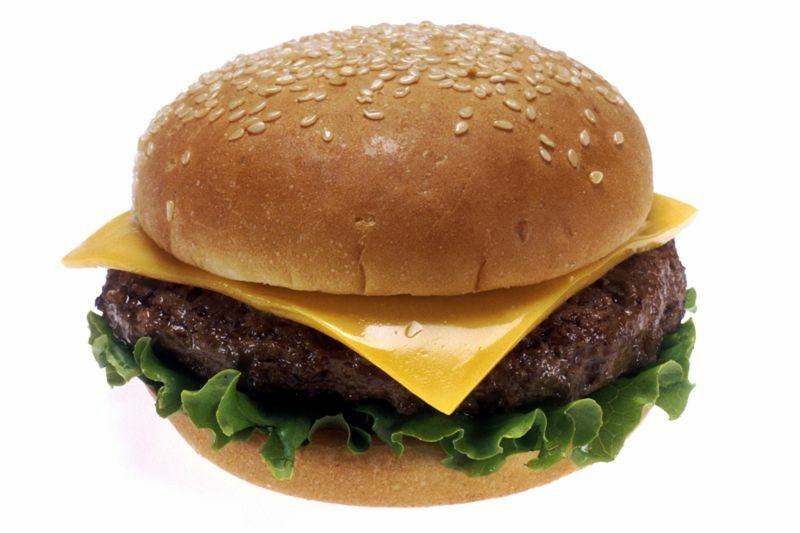 Every national fast food chain is working seven days a week to develop low fat, low sodium, heart healthy menus. Back in the 20th Century, the notion of soup and salad at McDonalds or Laura's Lean Beef in a Double Burger would have been laughable. The very idea that Mcdonalds might have the best coffee in town, or that Grilled Fish at Long John Silvers could be a very nutritious lunch seems to go against the foundations of the culinary world. And the image of these restaurants competing to see which one can offer the best breakfast is disorienting. It is, indeed, a Brave New World. Now, certainly, you can still put together a high cholesterol, high salt meal at one of these outlets. but you have to work to do it. Their advertising and their specials scream at you from every sign about their Veggie Wraps, Fish Tacos, Cole Slaw and Omega Three Fatty Acid Cod or Salmon. McDonalds is the all time fast food giant, and you can still feast on a Double Quarterpounder With Cheese, Large Fries and Triple Shake so thick you eat it with a spoon. However, even McDonalds has moved on. Their Wraps are very good in Ranch Grilled, or Chipotle Grilled Barbeque. The Grilled Chicken Sandwich is listed by the American Heart Association as the heart healthiest item on the McDonalds menu. The Grilled Premium Chicken Breast Strips are also great, as are six kinds of salads, especially the Premium Southwest Grilled Chicken Salad or the Asian Salad. McDonalds offers Paul Newman's Own Dressings in six flavors. 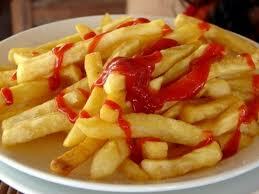 These are nationally noted for their low fat, low cholesterol content. McD's still offers the sugary desserts, but the Fruit Yogurt Parfaits and Baked Apple Pie Slices avoid that problem. There's also Low Fat Milk, Apple Juice, Dasani Water, Orange Juice, and Iced Tea. For a caffeine fix, there are five flavors of iced coffee. 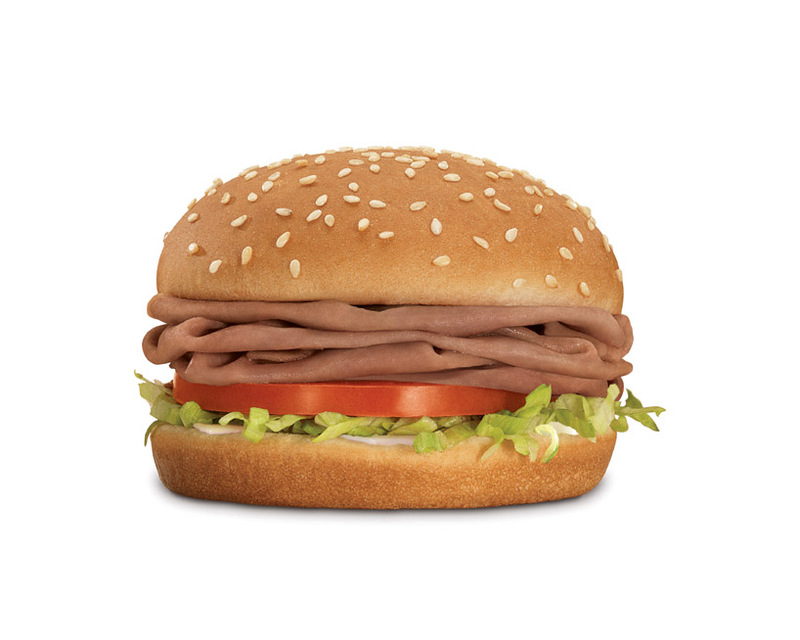 Arby's carved out its reputation with roast beef sandwiches and they still fix the best in town. They slice it thin, oven roast it and put it between toasted sesame seed buns. There are three sizes. They offer it in cheddar cheese and pepper bacon versions. The basic sandwich is one of the most heart healthy fast foods out there. But there's a corned beef /swiss cheese/ sauerkraut on rye, two roast turkey sandwiches, and three chicken sandwiches. Arby's has added four kinds of subs and three salads. The only concessions to the cholesterol culture are the curly fries, mozzarella sticks and potato bites. 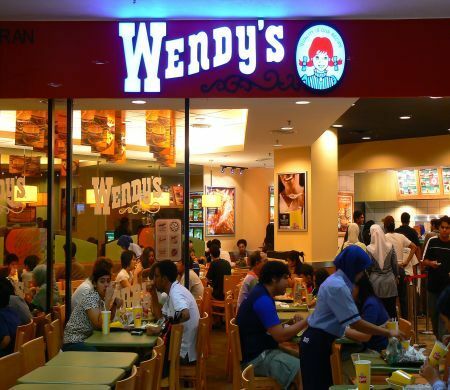 Wendy's was the first national chain to openly challenge McDonald's in the burgers and fries wars, and the Ohio based company still makes fine burgers, in that unique square shape Dave Thomas created. You can get hamburgers or cheeseburgers in single, double or triple stacks with bacon and other additions. There are grilled chicken and fish sandwiches and wraps, and a line of stuffed and baked potatoes with sour cream, chives, broccoli and cheese and bacon. Wendy's has really focused on its salads. They offer Mandarin Grilled Chicken, BLT, Grilled Chicken Caesar, and Southwest Taco Salads. As sides you can have dishes of Mandarin Oranges, bowls of Chile and a Strawberry Yogurt Squeeze. 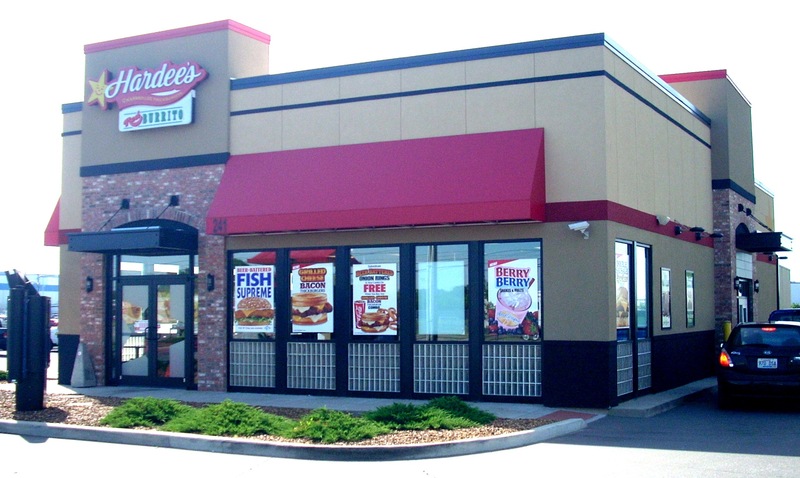 Wendy's has always taken great pride in its milkshakes and still offers Vanilla, Chocolate, Fudge, Strawberry, and Nestles Toll House Cookie Dough. Long John Silver's was the first fast food seafood restaurant chain, although it borrowed its tradition from century old boardwalk beach shacks on Cape Cod, Long Island and The Jersey Shore. The menu is still heavy with various kinds of breaded fried entrees, including flounder, clams, shrimp, crab cakes, and the newer Lobster Bites. Fortunately, they have also introduced The Freshside Grille menu, which is the heart healthy alternative. There's Grilled Tilapia, Shrimp Scampi and Pacific Salmon, all served with long grain wild rice and steamed vegetables. Sides include Cole Slaw, Corn, Baked Potato, Clam Chowder, and Mixed Vegetables. The Pineapple Cream Cheese Pie is one of the more obscene desserts in town. One of Long John Silver's most famous items has always been its vinegar fish sauce, which can be bought bottled and taken home. 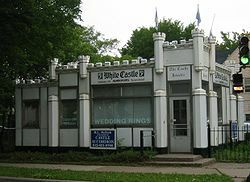 White Castle is still the home of the little square onionburger, which loyal customers refer to as "Sliders." This is primarily a carryout restaurant (somehow those squareburgers just seem more appropriate when you're driving around on a Friday night) but you can sit inside if you want. All White Castle outlets still use the 1932 Steel & Porcelain building and fry the burgers with the onions and bun so the onion flavor seeps through the meat and the juices drain down through the bun. White Castle was the very first ever fast food chain, and since no one had ever done it before, they had to create their own supply network for meat, bread, onions, and even uniforms and buildings. 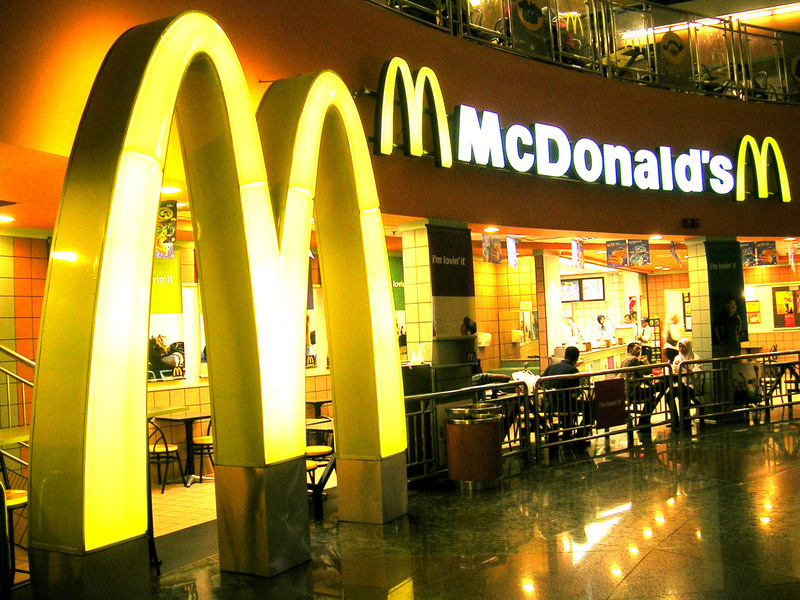 Refusal to go into debt or allow independently owned outlets limited growth, but in many cities they are popular enough that in 2010 they were still second only to McDonalds in total sales. Hardees is across 31W from Warren East High School. This location does a heavy take out business but also offers indoor seating. Their featured sandwich is the famous Thickburger, which sounds like a return to the heart attack 1970s. But, No. This one is charbroiled, not fried. It is 100% Black Angus Lean Beef Patty. There's cheese, onions, tomato, lettuce and BBQ sauce between two slices of toast. It comes with bacon strips but you can peel those off and have a quite healthy lunch. And there's more. They've got a Low Carb Charbroiled Chicken Iceberg Lettuce Wrap, a Veggie Burger, and several Gluten Free Options on the Alternative Menu. Or there's the Chicken Club Sandwich, a marinated skinless chicken breast filet stacked with Swiss cheese, sliced tomatoes, lettuce and mayonaisse on a honey wheat bun. Again, it comes with bacon, which you just strip off. The bottom line is Hardee's is very competitive in the Healthy Eating Sweepstakes. You can stop there for lunch without feeling guilty. Sonic is a retro drive in restaurant where for half an hour or so you can pretend you're back in the 1950s. They even have girls on roller skates coming out to take your order and carrying your food out on trays which hook onto your car window. The menu is the classic burger, fries, shake and ice cream, although they've updated it a little with Nachos, Onion Rings and Chicken Nuggets. They play Golden Oldie music over the speakers. On Fridays and Saturdays it's a frequent stop for guys cruising Bowling Green in their restored 50s and 60s cars, or dropping by in their Corvettes after a day at the Corvette Museum, so you might want to bring your camera. If you ride in on your Harley or Indian Head, there are a few picnic tables set up under the canopy so you can sit outside and enjoy the ambience. 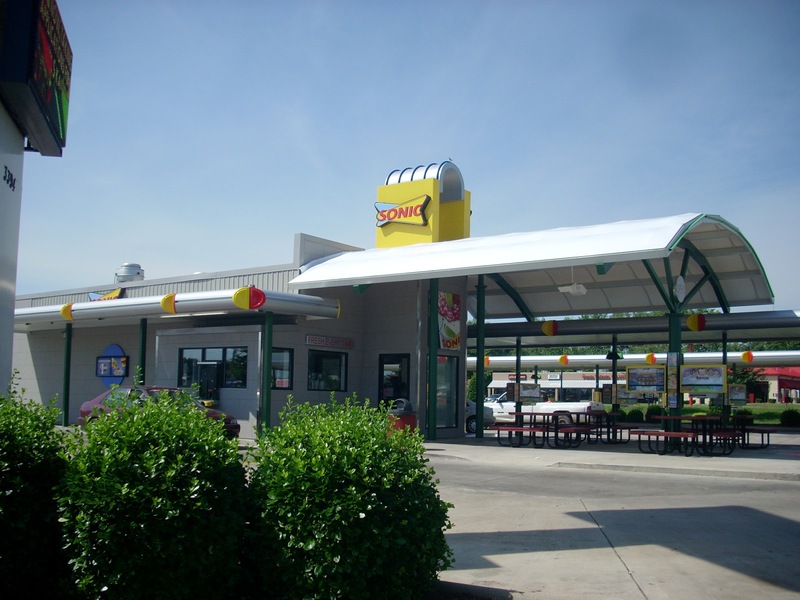 This Northside location has recently been remodelled and updated, but somehow still retains that Sonic atmosphere. 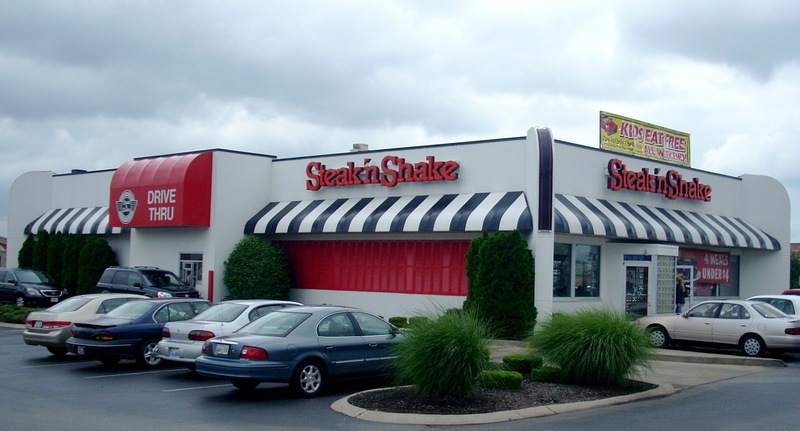 Steak & Shake started in 1934 in Illinois as a drive in serving steakburgers and milkshakes. They've diversified into Chile, Fries, Hot Dogs and Melts, abandoned girls on roller skates and outdoor service lanes and built booths indoors themed to the 1950s. Their Chile has earned a devoted following. But their big appeal is still milkshakes and steakburgers. Milkshakes are straight out of the 50s in tall stainless steel cannisters, made from ice cream and milk, mixed and whipped behind the counter as you watch. They're rich, cold, delicious. Steakburgers come in six models and make no apologies. They're thick, juicy and topped with cheese. You can order a Single, Double, Triple, Bacon, Cheddar, Chipotle, Guacamole, Portobello Swiss, and BBQ. You sit on red and white vinyl at white formica tables with pictures of Elvis, Marilyn, Belairs, Fairlanes and Bill Haley & The Comets framed on the walls. Ricky Nelson, Buddy Holly, and Frankie Avalon play in the background. Nobody else in town quite captures this ambience.